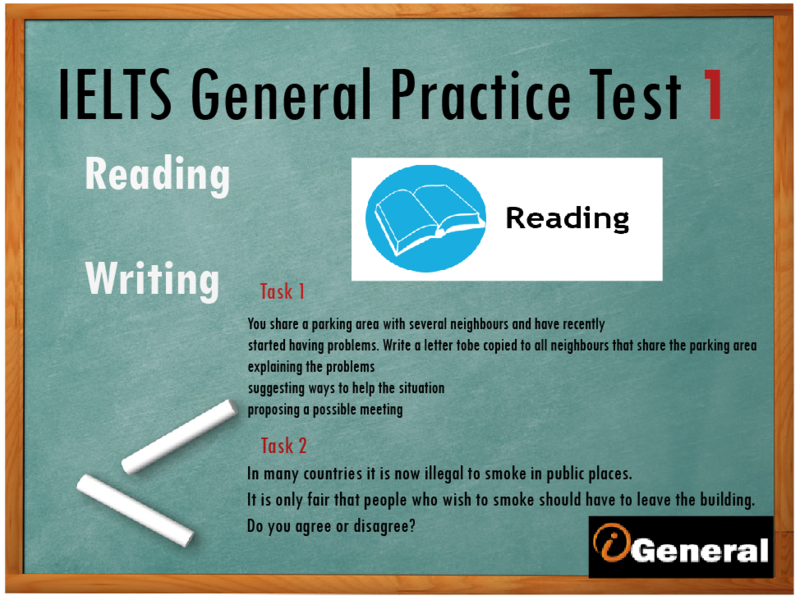 Set your time to do IELTS General Practice Test 1 ( Reading and Writing ) to estimate your IELTS score. Write the correct letter, A- F, in boxes 1 – 4 on your answer sheet. 1. On which course do you need to move around the city? 2. On which TWO courses can you learn ways to make people laugh? 3. Which course takes you around in a boat? 4. Which TWO courses last more than two weeks? Write the correct number of the reminder in boxes 5-10 on your answer sheet. NB You may use any number more than once. 5 tells you what to do about medicines you might need? 6 advises you to take certain documents in your hand luggage? 7 tells you what documents you need to apply for a visa? 8 advises you to check health requirements for entering the country? 9 warns you about an airline policy? 10 advises you to bring documents showing your housing arrangements? 12 What information does your medical card give? appointment? 13 Who can tell you what the surgery’s hours are? 14 What should you do if you cant go to an appointment? Choose NO MORE THAN THREE WORDS AND/OR NUMBERS from the text for each answer. 15 Who can join the J-1 Visa programme in the US? 16 What is the maximum time you can stay in the US with the J-1 Visa programme? 17 When do many employers in Britain want to hire extra staff? 18 How long does the Work and Travel Programme allow you to work in Singapore? 19 Where in Canada are jobs available? 20 What is the longest you can stay in one job in Australia? The leaflet above offers several tips for sitting correctly. Which do these actions belong to? Write the correct letter, A – H, in boxes 21 – 27 on your answer sheet. 21 Keeping things you often need close to you. 22 Keeping your wrist straight. 23 Making sure your screen is at the right height. 24 Raising and supporting your feet. 25 Checking the direction of lighting in your room. 26 Using computer accessories correctly. 27 Reducing your body movements. Write your answers in boxes 28-32 on your answer sheet. 33 Many people agree that Mandarin will be essential in the future. 34 There are more fluent second language speakers of English than first language speakers of English. 35 English has been the most widely spoken of all world languages. 36 More people speak English as a mother tongue than Mandarin. 37 The growth of Mandarin is due to many factors. the US will soon reach 24,000. 39 Businesses throughout China only hire employees speaking at least two languages. 40 You need a year to learn to write well in Chinese. In many countries it is now illegal to smoke in public places. It is only fair that people who wish to smoke should have to leave the building. Answer keys for reading test will be of great help. where i could find the answer key on this reading practice?